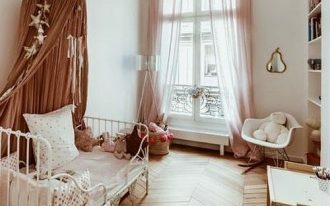 There are many ways you can do to make your bathroom look pretty. 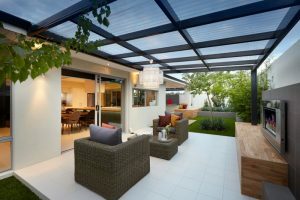 One of them is by choosing patterned tiles to get the fun and merry vibe t the room. 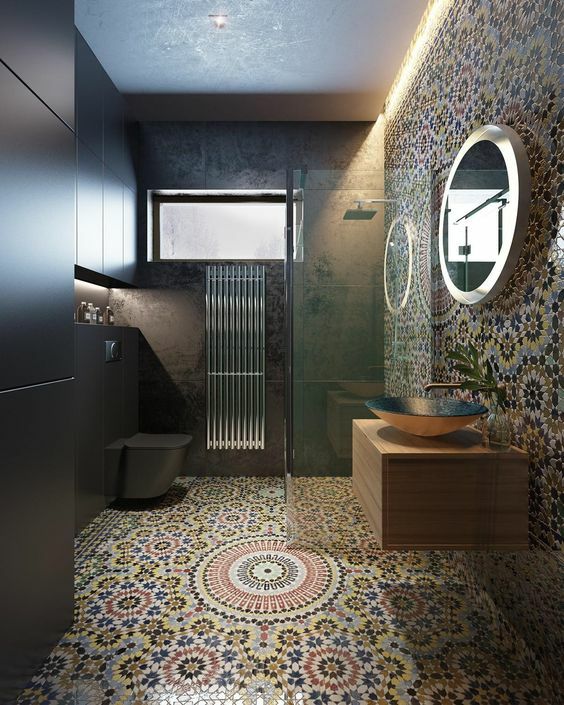 If you love to show bright and bold side, you will love to see these ten stunning bathroom with vibrant exotic patterned tiles on the floor or wall. 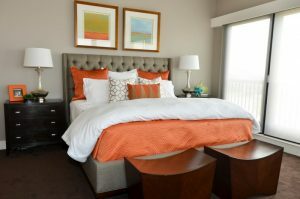 It brings out cheerful and warm vibe in the room. 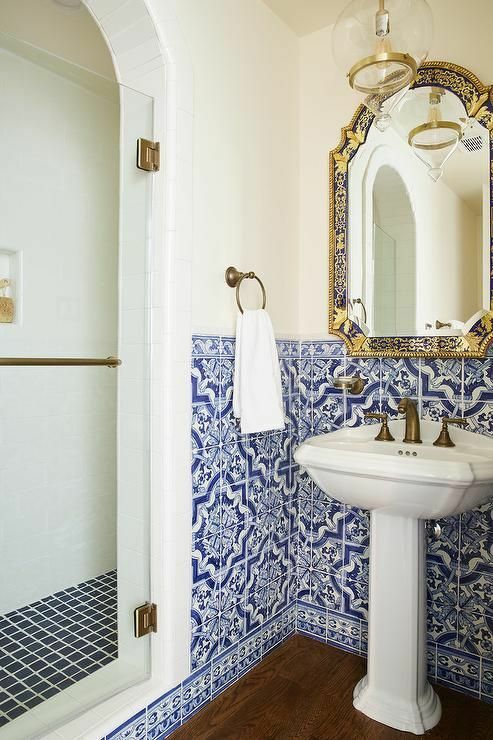 This bathroom has beautiful tiles that cover its floor and wall. And among the crowds of blue and pretty lines, a simple white tub is placed. This combination makes each look pronounced. 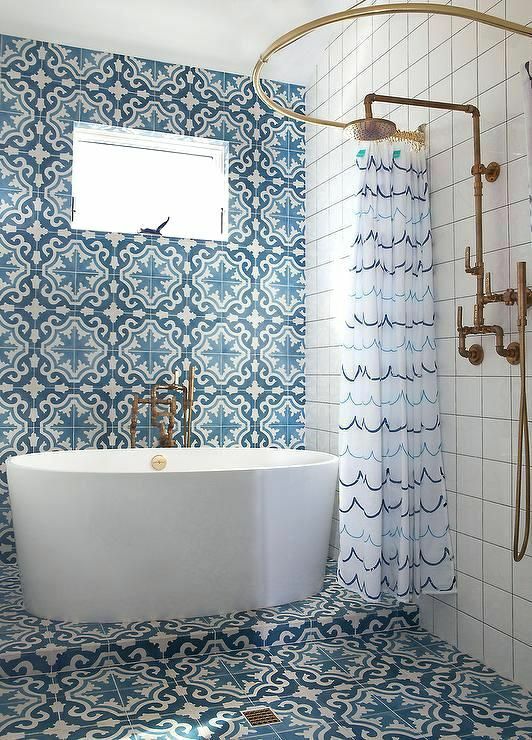 Similar to the previous one, this bathroom also installs blue patterned tiles on the wall to prettify its space. Combines with white sink and wall both inside the shower area or outside, this bathroom shows a pretty combination. Although exotic patterned tiles are usually in bright colors, this one here shows a more mysterious and strong vibe with black. 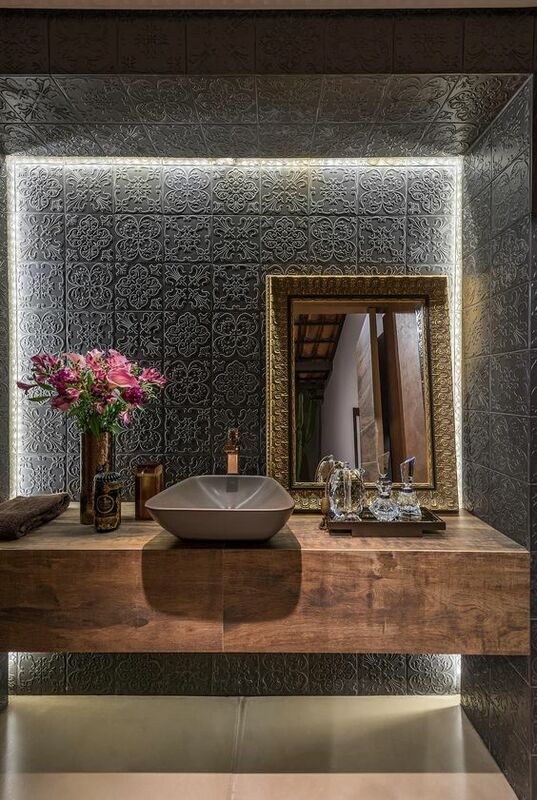 The exotic patterns are embossed to the surface that it adds textures to the bathroom. 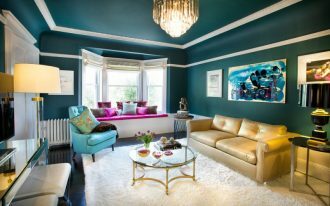 This beautiful sight is presented by Moroccan patterned that beautifully installed on the floor and wall. 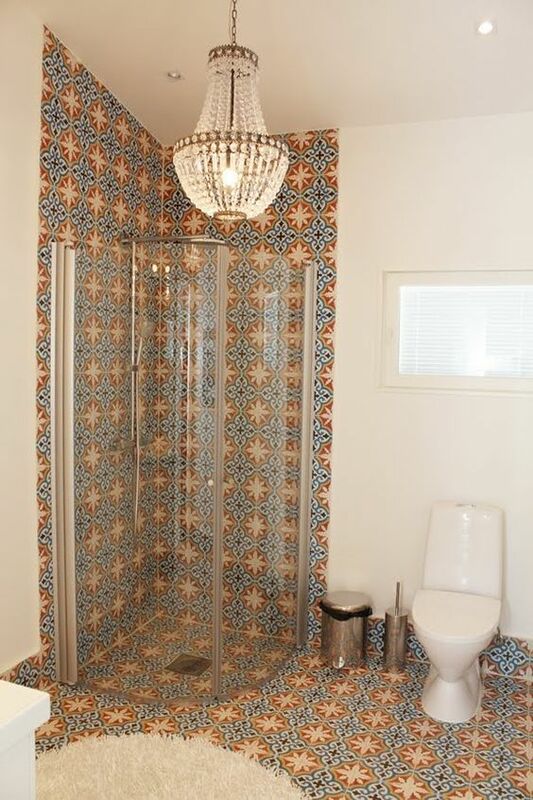 These small tiles are together in creating the unique Moroccan style and character with its colors and texture. 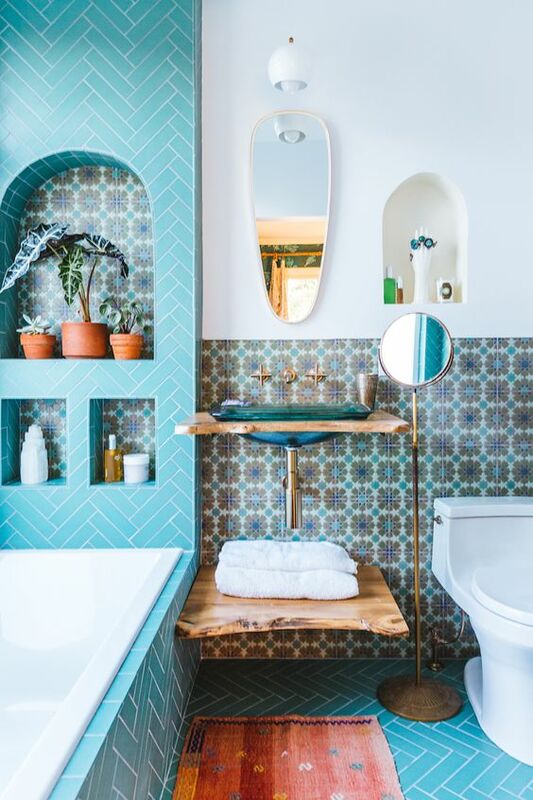 Balanced by dark wall, this bathroom obviously wants to make the patterns look even brighter. 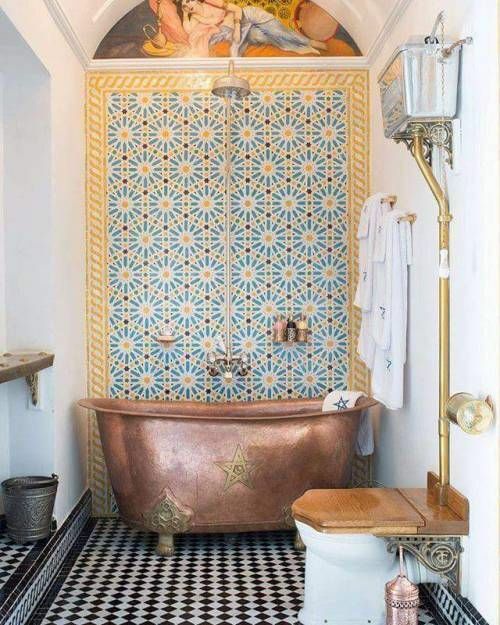 While you might want to put an easy tub, creating your own tub with tiles like this one has its own exotic look and feel. 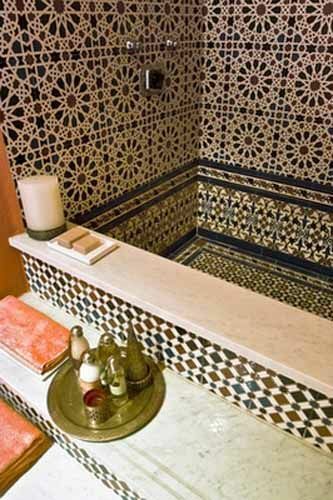 This one here shows a complicated and bright patterns of Moroccan tiles on the wall, inside, and outside the tub too. The combination of yellow and warm can be fun and warm. And that’s exactly what is seen in this patterned tiles in this bathroom. 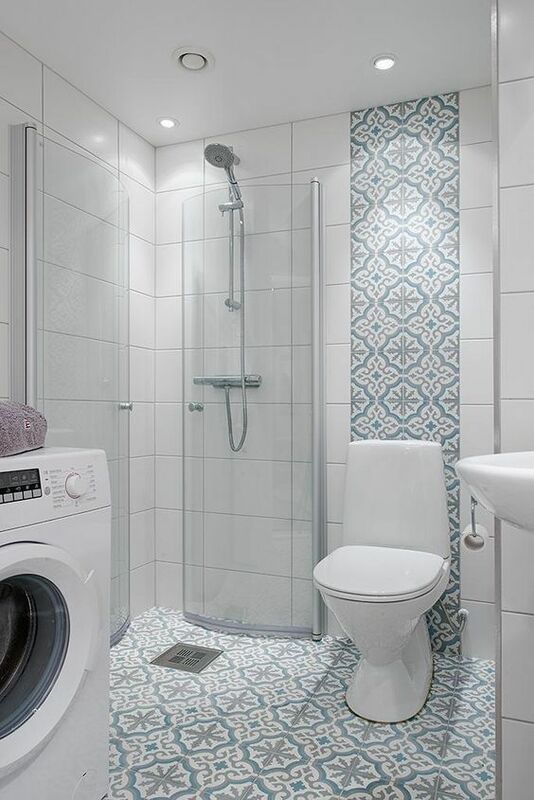 Here, the yellow and blue tiles decorate some part of the floor and the shower part of the wall and it is combined with white tiled wall that matches the toilet. It looks like the patterned tiles is indeed the center of attention here. 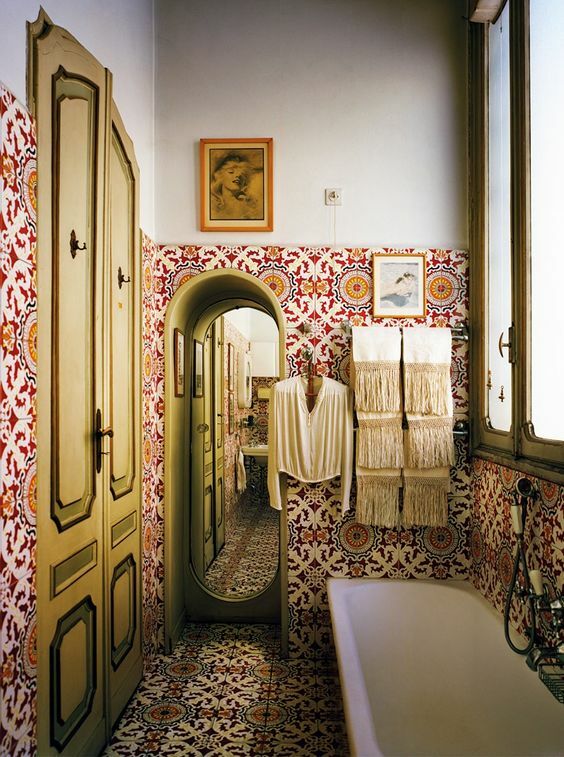 This Moroccan tiles look so bright, interesting, pretty, bold, and warm. There are so many things that can be said when it comes to patterned tiles. And that is because patterned tiles bring more characters. And in this bathroom, it brings all the good ones. 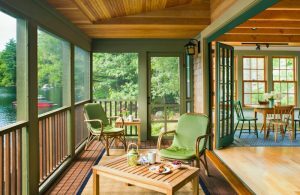 Although patterned tiles might look complicated, it can be used in more calmer manner too. 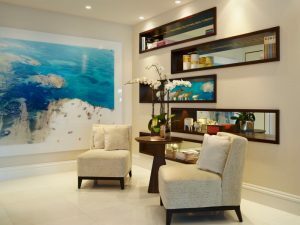 This one here uses a gentler color and pattern that blends with white perfectly. If you want to create a statement wall,a bright and bold patterned tiles can be the best choice. All you need to do is putting it on the middle of the room and enjoy the vibe. 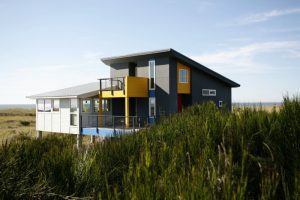 This one here uses yellow and blue that makes the statement wall holds many suns. 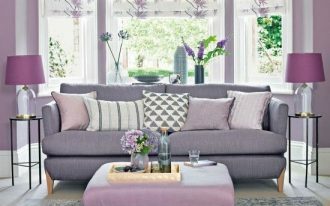 Although exotic patterns usually used in big and grand way, this one here shows that even the small pattern can make an interesting touch to a room.